We are a family of three, with backgrounds in education and language learning. Daddy is from Brazil and Mommy is from Ukraine. 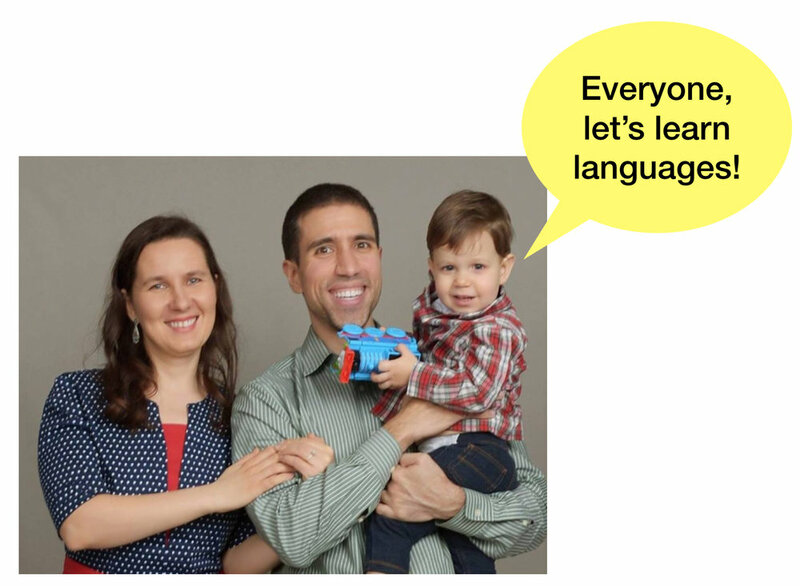 Our son (Dylan) speaks awesome Portuguese, Russian, and English from birth and is the inspiration for Linguacious®. It's his success that makes us want to see other families also succeed in their language endeavors. Our dream is simple: to ensure that all kids in this world can learn to love languages and have fun learning them. We want to publish our products in as many languages as our lifetimes will allow and help kids to become proud of their linguistic heritage and to appreciate the linguistic heritage of others. Thank you for helping us achieve our dreams. We truly hope that our products will also help you and your beloved ones achieve theirs. If you would like to share your story with us, we would love to hear from you!